Replace your worn out or broken PS4/PS3/PS2 Xbox One/360 game controller cap. Protect your PS4/PS3/PS2 Xbox One/360 game controller joystick against dust and dirt. 1. Fully compatible with PS3 / PS4 / Xbox 360 / Xbox one Controllers. 2. High quality rubber material. 3. Easy to install no wires needed. 4. Designed to replace your damaged, broken, cracked improper or non-function ones. 5. Replacement Repair Parts Controller Analog Stick Cap for the device Specifications. 6. Keep your for device against dust efficiently. 7. Change the old or useless keys, making the keys more handsome. 8. 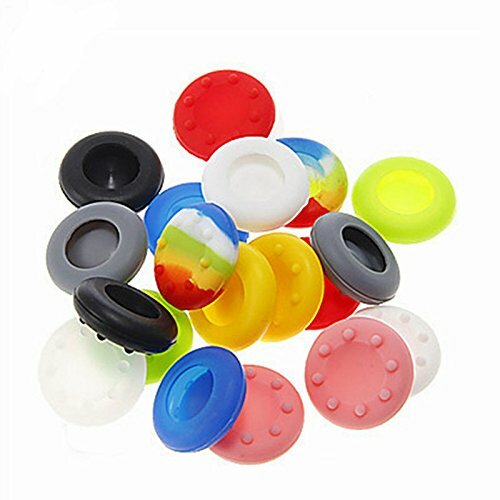 These thumbstick grips are must for any gamer to ensure your thumbs do not slip during gameplay.